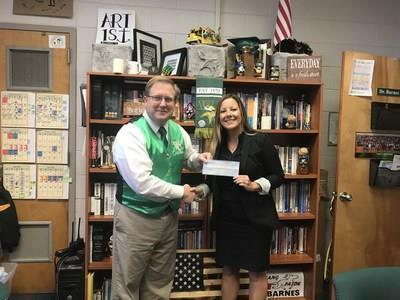 L-R White Oak High School Principal, Chris Barnes, accepts a donation check from Hunt Heroes Foundation Board Member, Clara Abalos. As the most experienced and largest owner of military housing in the nation, Hunt Military Communities offers unsurpassed quality and service to more than 200,000 residents in over 52,000 homes on Navy, Air Force, Marine Corps, and Army installations throughout the country. With a 50-year legacy and a partnership with the Department of Defense, Hunt strives to build communities characterized by three clear promises: 5-star service, connectedness, and a culture of trust. For more information, visit www.huntmilitarycommunities.com .